We currently offer two options for standard day trips and these take you to the historic Island of Little Cumbrae or as its called locally Wee Cumbrae. The other option is Mount Stuart, Britain’s most spectacular Victorian Gothic house (please note opening times). There are many other locations in the area that you can spend the day or simply go for a meal. So custom trips are easily organised if you have a group of 8 or more. Please just contact us for more information. So if you are looking for a unique way to see the scenery and spend the day at a great location then taking a boat trip on our exhilarating RIBs. Visit the magical Island of Wee Cumbrae, marvel at the marine wildlife & scenery along the way. Land and explore this beautiful Island. Half day or whole day. 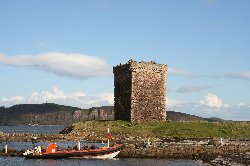 The Island of Wee Cumbrae is teaming with wildlife and steeped in history. Explore the 680 acres with cliff walks, Viking burial grounds, a 700 year old castle and Scotland’s second lighthouse built in 1757. This beautiful Island has something for everyone. 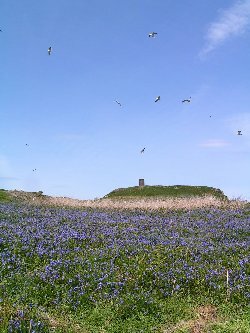 There are over 75 species of birds which nest on Little Cumbrae, many of them rare and endangered species. 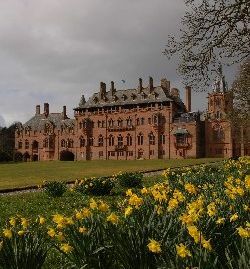 Mount Stuart, Britain’s most spectacular Victorian Gothic house, is the architectural fantasy of the 3rd Marquess of Bute and his architect Sir Robert Rowand Anderson. The stunning, mysterious interiors of Mount Stuart reflect the romantic and scholarly Marquess’s passion for art, heraldry, astrology, mythology and religion. The art collection includes works by Old Masters, depictions of British royalty and arguably the finest privately held collection of family portraits in Scotland. 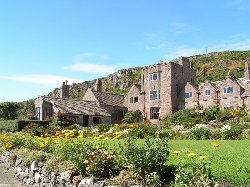 Opening for Easter Weekend and every day from 1st May until 30th September. The day trips typically start at 10am and you get collected again at around 5pm, although we are flexible with your needs on the day. On a visit to Wee Cumbrae you are best to bring a packed lunch or picnic. There have been plenty of families over onto the Island with small children onto the Island and the distances to walk around are manageable for them. There is so much to discover you cannot see it all in one day. Should you wish to camp on the Island then there is a nice campsite with basic facilities. You have the Viking/Pict burial grounds to the North, the 2nd ever Lighthouse in Scotland (picture left), the Castle, the West lighthouse and much more to see. Visiting Mount Stuart is an experience not to be missed the house and grounds are truly spectacular. Mount Stuart is situated on the Isle of Bute, which, with its proximity to Glasgow, is the most accessible of Scotland’s west coast islands. The facilities comprise of a Visitor Centre with a Contemporary Visual Arts Gallery, Gift Shop, Restaurant and AV Theatre, Plant Centre, Picnic Sites, Adventure Play Area, Waymarked Walks, Courtesy Transport and Disabled Access.